Well, it’s that time of the year again. To take stock of how much activity is happening with the ol’ bod. What makes that more exciting to take-on? Cute activewear. I run lots of errands in my activewear. (You’re singing it in an Australian accent too now aren’t you…if not, enjoy.) I need it to look fun and interesting, as you know from my previous post. Well, good news for you. Overall verdict? Fabletics has fun and interesting activewear! Fabletics: How Does It Work? So, yes. 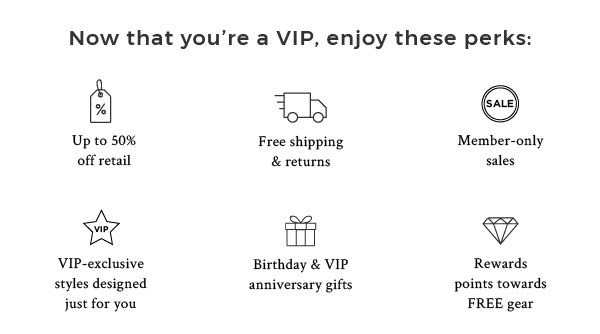 To get the great VIP pricing at Fabletics, you do have to become a member. That means you have to skip each month if you don’t want a $49.95 credit in your VIP account added. I think most of us are familiar with this concept by now. You can use that credit to purchase a discounted outfit they’ve packaged together or for individual pieces. If you aren’t good at keeping up with this sort of thing, this might not be for you (ahem, Shana), but if you are like me and live attached to your calendar, it’s NBD. I pop in on the 1st of the month and hit skip. (Aside: This post isn’t sponsored, by the way!) And there’s no time commitment, you can call to cancel whenever. I’ve been ordering cute leggings and dresses from their sister brand FabKids for years now for Sienna. Only once did I miss the skip, and then I just used the credit later to get her some cute stuff. 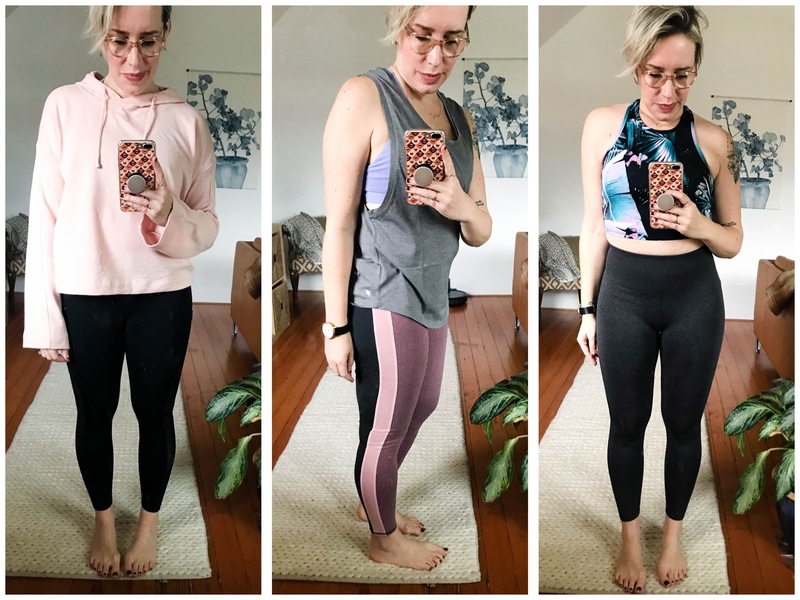 I tried Fabletics way back when they started, but hadn’t checked them out in a while, so it was time to review again! Just wanted to set the deal out first, with full honesty here! They have adorable stuff, so, to me, it’s worth the membership. And I think you can order without becoming a member, but you don’t get the fab pricing. (See what I did there?!). Let me say, there’s some cute stuff. Overall the fabrics felt good on and in my hands. That’s an excellent start. The tops seem to run big overall, but the bottoms seem true to size. I do have a shorter torso so that might be part of the issue. Let’s check out a few outfits, shall we? Tank – This is OK. It is a little big on me. I like the shape overall though, and it might be worth trying in an XS. Like the graphic words on the back. Never settle, you guys. Wearing a Small. Leggings – These are super-cute and comfy. I love the heathered fabric, and the mid-rise is high enough but not too high. This is a 7/8 legging, too, and it’s a great length. Bra – Love this. It’s got cute straps on the back, has great support (medium according to the website) and comes in quite a few pretty colors. I’m wearing a Small. I’d keep this one if the next one weren’t so fab. Tank – The color and the open back are fabulous. The fabric and the length — not so much. Wearing a Small. Leggings – These are the Seamless High Waisted Solid legging. I adore them. I’m probably keeping these to live in. They are an all-around, comfy stretch fabric and the waistband couldn’t be more comfortable. I’ll see how they perform in a workout, but I want to just wear them around the house. They also hold you in really well. Wearing a Small short. Bra– Love love. Definitely keeping and wearing as a swim top, too. So cute, comfy and very decent support for workouts like barre3, pilates or yoga. I have a feeling this will go fast. Wearing a Small. Bra – Love love. Definitely keeping and wearing as a swim top, too. So cute, comfy and very decent support for workouts like barre3, pilates or yoga. I have a feeling this will go fast. Wearing a Small. Leggings – LOVE these. They are so comfy. A little tighter to put on than the pair above, but the same stretch seamless fabric. It is amazing. I can’t decide which I like better. These are pretty decent on the booty, too, which is never a bad thing. These are the Seamless Jacquard Mid-rise 7/8. Wearing a Small. White tank – This is cute, but too big. I’ll be honest, I just don’t love most workout tanks unless they’re a graphic tank and made of cotton. But I realize some people may have more of an appreciation for this style tank — that’s all good. Wearing a Small. Runs big. Pink Tank (same as above) – Wearing a Small. Runs a bit big. Bra (same as above) Love this. It’s got cute straps on the back, has great support (medium according to the website) and comes in quite a few pretty colors. I’m wearing a Small. I’d keep this one if the other one weren’t so fab. Leggings (similar color blocking) – Dang. I think mine are currently sold out. I’d check back though. They may restock. Love these. The colors are so fun especially with the pink tank, I think. The bra matches the lilac on the leggings, too. TTS. Wearing a Small. 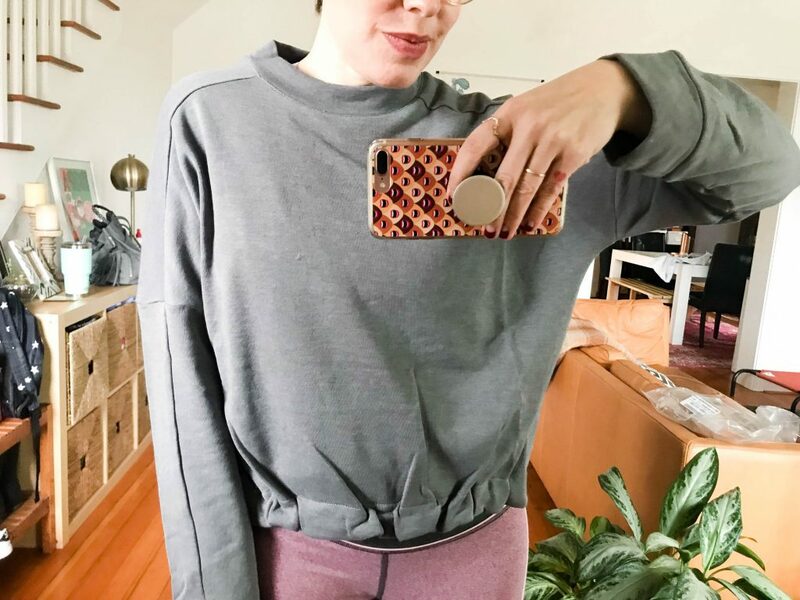 Sweatshirt – Cute, but the neck opening is quite small, and the front drawstring is a little weird. 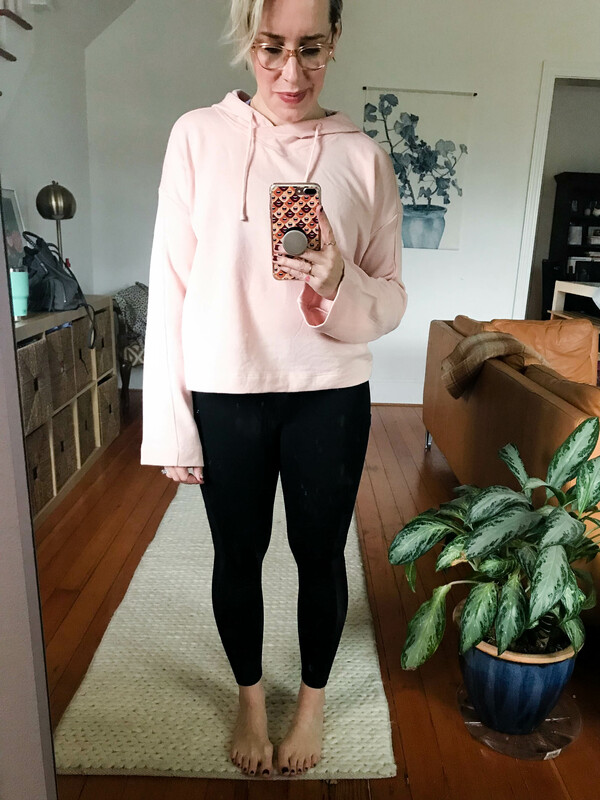 Super soft though and I like the length for a very current sweatshirt shape. Wearing a Small. Leggings (same as above) – Love. Wearing a small. Sweatshirt – I LOVE this. Seriously considering keeping it. I need a little more color in my life, and this is a great pink. The fabric is super soft and the sleeves are cute, but not too big and drape-y to function IRL. Size small. 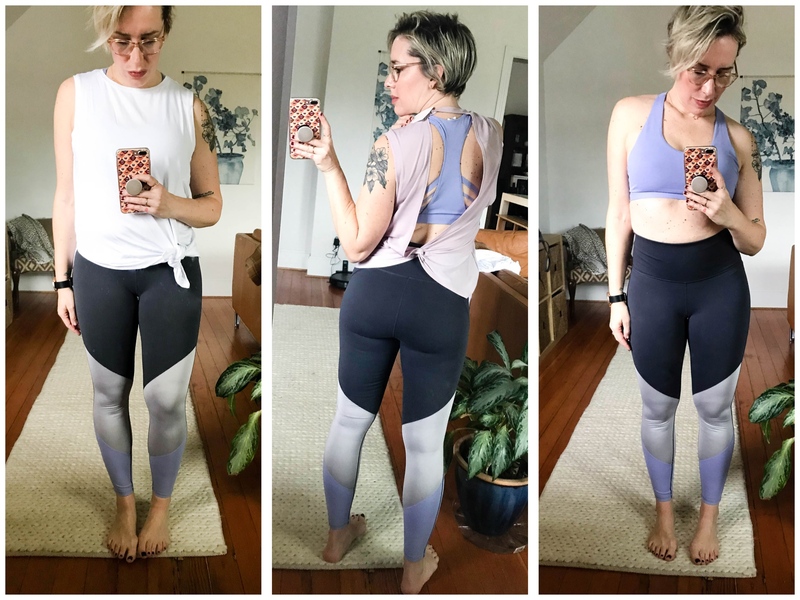 LOVE the leggings, the sports bras are great, and sweatshirts are very soft — leave the tanks (or at least size down). I will definitely check Fabletics out again when I need new workout or even loungewear. I’m pleasantly surprised; their price point is great. 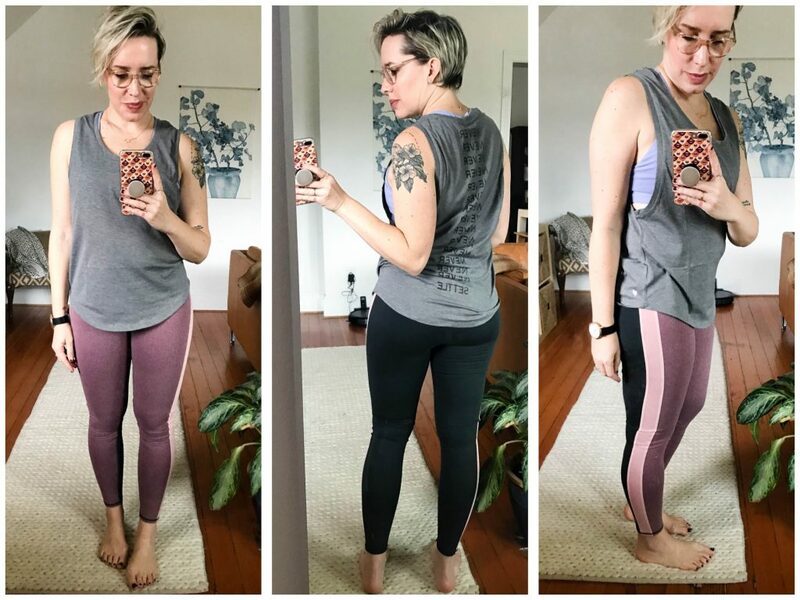 I’ll report back on the quality of the leggings and bra during a workout, but for now I give most of the items two thumbs up! 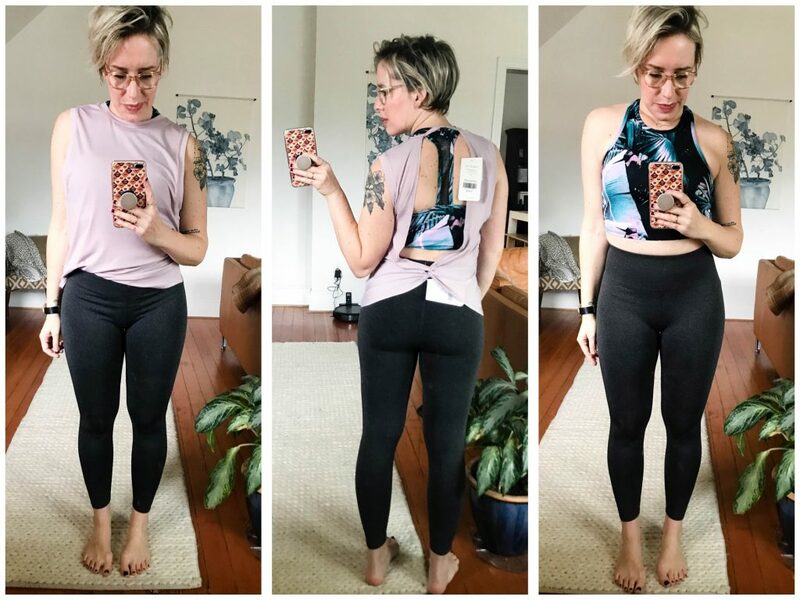 I love their leggings so much but I hate their tops, the underwear I got literally fell to pieces on me, and their sports bras have no support. And I hate their subscription model so much it makes my skin crawl – their sizing on anything good sells out immediately every month and they never restock. I have waited for basic black leggings to restock in my size (medium) for months and months on end. AND they have charged me after I skipped on several occasions. I finally quit the vip club but had to spend 15 minutes on a call asking them over and over again. It was like trying to quit cable tv. Near impossible. Great leggings but not worth the hassle. 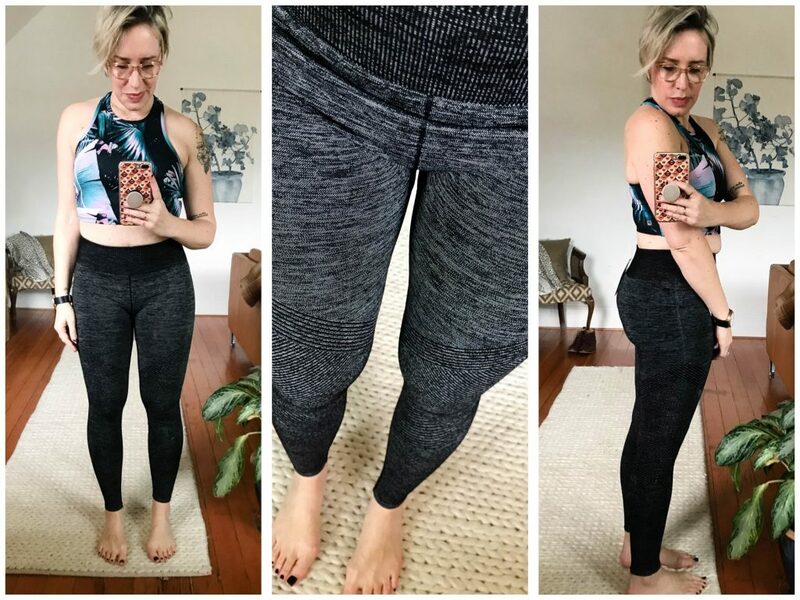 I have a few friends who swear by Fabletics – wondering how it holds up after washing a few times? I’d be buying yoga pants and tanks only. Anyone? I LOVE Fabletics leggings. Have pairs from several years ago that I still wear and they look great. Have been a VIP member for several years. I buy twice a year and just decline the monthly selections the rest of the time. I have friends who aren’t as good at checking email and set a reminder on their phone to go in and decline. I have also purchased bras (two of my favorites- I am small busted so support is not an issue) tanks, and jackets/vests. The tanks don’t last as long for sure. The vest and jacket are my favorite go tos. Thanks, Amy! A very helpful review! !